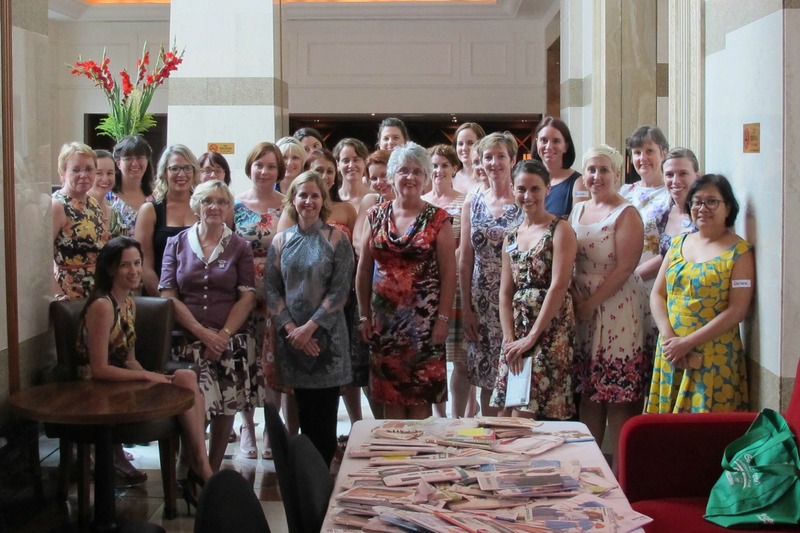 Yesterday in Brisbane, it was (unusually) a dreary day, however dedicated sewists from far and wide descended on the Brisbane Marriott for the inaugural High Tea Meetup. In all, 27 people attended, a fabulous turnout!! Even Lizzy from Sewbusylizzy travelled up for the weekend! So much colour, even the maître-d noticed that we were all fabulously dressed, of course upon finding out we all sewed his first question was “does anyone do hemming?” “aaaah, no I don’t think so, we don’t tend to do alterations” was my somewhat diplomatic response. I then proceeded to introduce him to the wonders of hemming tape, I am sure that would be much easier for the poor height deprived man. Back to the festivities, fabulous food was consumed, bubbly was consumed and of course then there was the swap! Boy oh boy was there some treasure, we had to set up one table for patterns and one for fabric. Just about everyone walked away with something new to them, even those that were trying to resist! Reana Louise, Donna, Lizzy, Sarah, Susie, Dorlene, Michelle, Christine, Rosi, Sofie, Angela, Sue, Julie, Lana, Sophie, Erin, Gail, Jo, Bianca, Karen, Colette , Kat , Denise, Judith, Karen, Marjorie and Alice. I didn’t have time to make a new dress for the occasion but pulled out my Alannah Hill floral number blogged here. Instagram was going pretty crazy with excited photo posts and we have now decided that we will be meeting up much more often. We have a new Brisbane Spoolettes page on Facebook and have decided we definitely need more events, because more events equals more outfit opportunities!! Such a fabulous day and I for one left with an exceedingly croaky voice!! Gee I love meetups! Congratulations on running a fabulous meet up with lots of sewers. You all look amazing. I look forward to seeing more Brisbane events! I hope you can come next time – it was so much fun. I’ll hold you in credit!! Lizzie it was a great day. 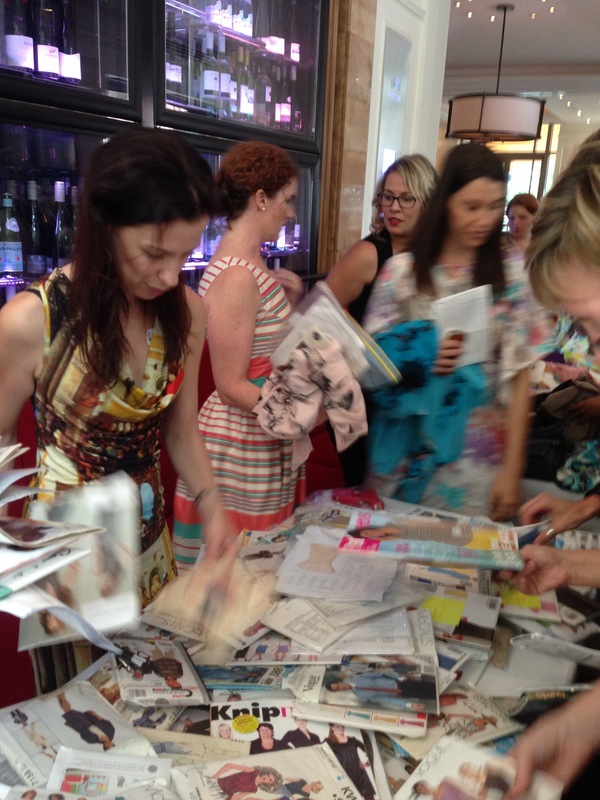 I had so much fun and loved talking with people who love sewing too. The swap was fantastic fun and very respectful:). It was fun meeting you and Lizzie on Saturday too and I forgot to ask yesterday if the house got sold? Thanks for organising this. I’m not on Facebook but I’m sure I’ll hear about the Brisbane Spoolette meet ups! Can’t wait. The Brisbane Spoolettes look like a lot of fun! Wish I could have been there! Now that would have been awesome!! I had so much fun. Thank you for organizing it. So much fun! You guys! when are you up next? We’ll arrange one just for you!! Had a great time meeting so many like minded people. Thank you for organising it. Twenty seven of you! That is fantastic – and it looks as though you had an absolutely blast. So many lovely outfits too…..
Isn’t the colour amazing? Stunning! Omg best day! Great photos too. I can’t wait for more meetups. So sad to have missed it – unfortunately my husband was working out of town and I was on toddler duty. Hopefully I’ll be able to make a catch up in the future! Next time – there are to be more, many more! Loved the first photo – so many beautiful dresses on beautiful women! 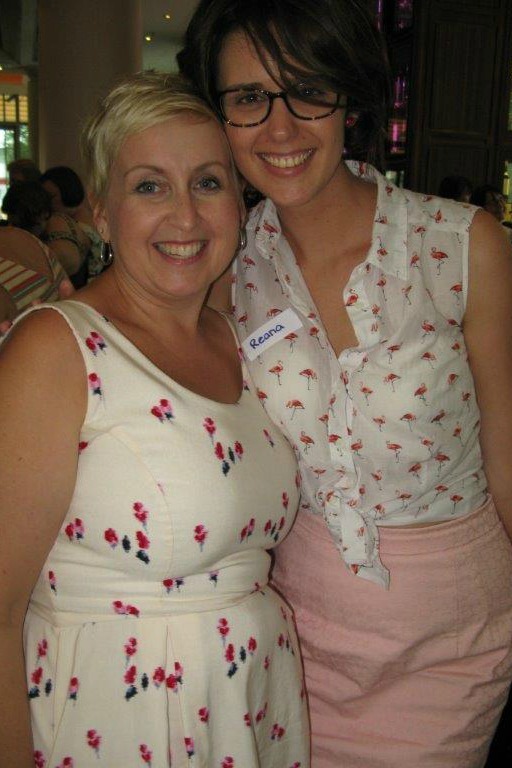 Thankyou for organising such a great afternoon. Can you please check some of the ladies’ blog link. I am getting a page not found error. mmmm…sugar…yep I have a weakness!! It was so much fun and I too can’t wait for the next meet up. Like Reana, it was nice to touch other’s ladies dresses without seeming like a creep and they totally understanding what we were on about!! 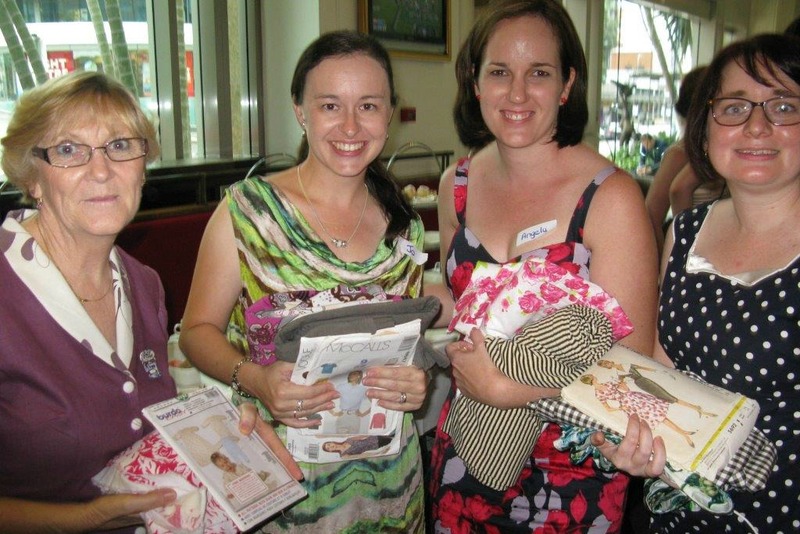 Funny, “can I look at the inside?” is not considered rude or inappropriate, just a shared interest in quality sewing!! I had a great time – thanks again for organising the day. Oh so bummed I couldn’t make it – it was lovely catching up on Saturday though. So looking forward to attending the next one and meeting some if these lovely ladies. Don’t they all look great!